Young, bold, and ambitious with a traditional and spiritual edge, my ‘Dubai Edition’ scarves are inspired by my trip to Dubai earlier in the year. Each print its inspired by a unique part of the Dubai’s ever-changing milieu; from the sun-kissed scorching heat of the dessert, to the lights and energy of it’s night life to it’s iconic skyscrapers under a azure skyline and whilst in Dubai promoting the scarves I felt it was only fitting to wear the scarves out to the locations that inspired them. First up is ‘Royal Place’. This retro-futurist scarf marks the architecture for a utopian Dubai. Predominantly I conjured up a more exotic image of what lay inside the toppling skyscrapers by fusing influences from Indian architecture and interiors with Islamic motives to create this lavish yet playful kaleidoscopic print. Inspired by my own ambitions for the architecture that surrounds the marina, make the ‘Royal Palace’ a perfect accessory for dinner at Toro Toro at Grovsners House. 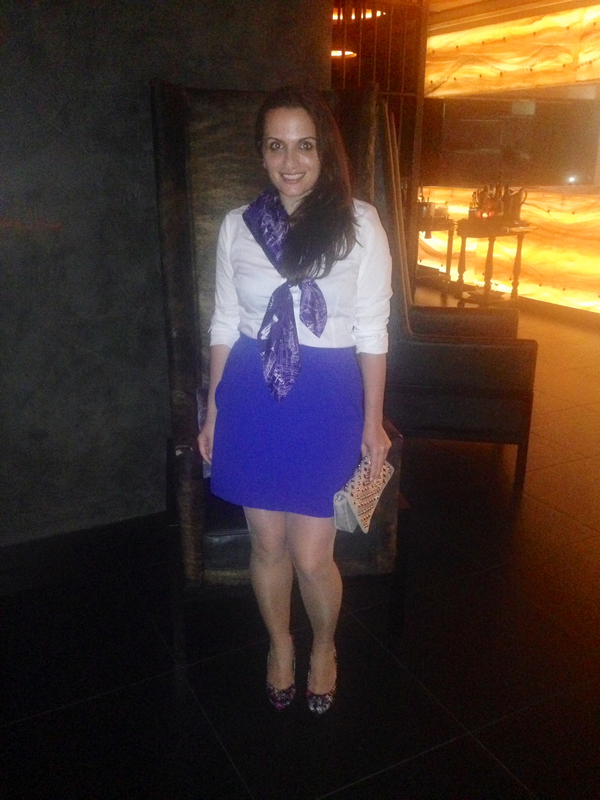 Next up is my Mixologist’s Delight scarf worn at the Marriott Hotel (again in the Marina). 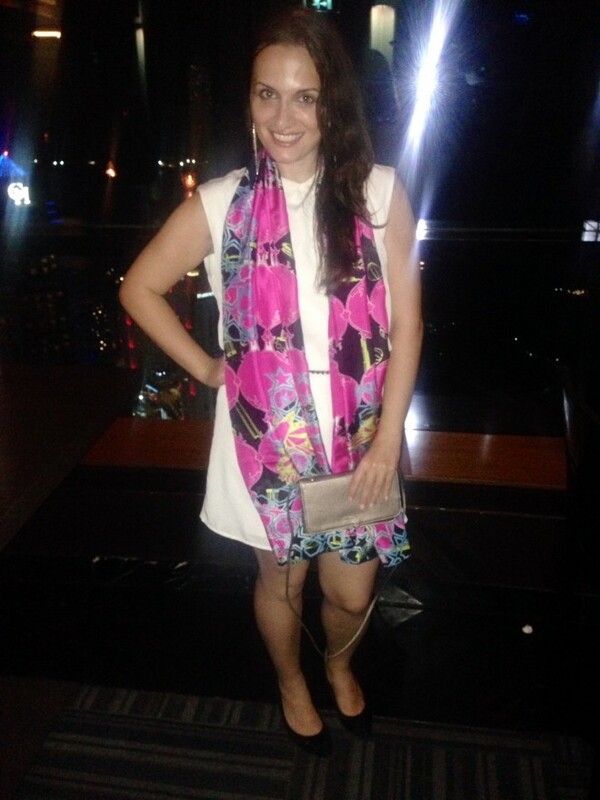 This near-neon lit scarf is filled with the noise, lights and energy of Dubai’s night life. When I was designing this print I kept thinking back to happy hour at the Observatory, on the top floor of the Mariott Hotel, Dubai Marina. Whilst enjoying mt happy hout cocktail I was blown away with the panoramic views across the city from the Observatory so I got my sketchbook out and started sketching a scraf worthy of the delicious cocktails and breathtaking views across the Palms. The soft, lightweight Mixologist’s Delight features designer cocktails, Islamic motifs and Dubai skyscrapers blended and served like a cocktail at the Mariott.